As an organization and as reporters, we’ve been writing about health for years. And the longer we report, the more clear it becomes that health provides a lens through which to see the world. So we’re starting a new section, The Scope, with the express purpose of looking at the day’s news through the prism of health. We hope you’ll read The Scope if you’ve been a fan of our health reporting. But we also hope you’ll read The Scope if you pass up the Health section in favor of Politics, Culture or Tech. You’ll find reporting, data analysis, personal essay and visual storytelling on everything from the opioid epidemic to the frontiers of neuroscience; from women’s health in the era of Trump to the growing threat of drug-resistant infections to the rights of caretakers and the issue of racism in hospitals. We will explore all subjects ― from foreign policy to art to social justice ― with an eye toward the role health plays in each of them. Health is and has always been an instrument of the state, and we intend to track those in power through their public health and health care policies. This is always essential, but is dramatically more so in our current political climate ― a climate in which the highest public health office may soon be held by a man who doesn’t believe in abortion rights and belongs to a professional organization that pushes discredited anti-vaccine theories and suggests it is “evil and immoral” for doctors to participate in Medicare and Medicaid. We believe that the more we view health as an institution that’s subject to the same biases and market influences as any other, the better off we’ll be in our fight for the right to good health. As every one of us will find out sooner or later, acknowledging the right to good health is simply another way of acknowledging the right to bodily sovereignty and dignity. These are rights we all deserve, and our reporting will hold to account the people and institutions that would rob us of them. Take a look around our social accounts, both Facebook and Twitter, to get a sense of what we’re already doing. Have a question or some feedback for us? 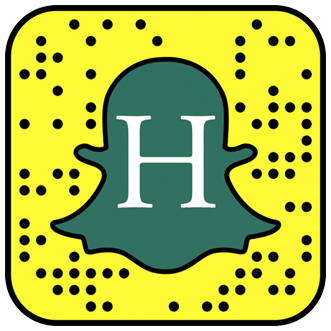 Reach our team of reporters at thescope@huffingtonpost.com. And watch this space: We’ll have more rollouts, announcements and stories early next year. HuffPost Lifestyle is a daily newsletter that will make you happier and healthier — one email at a time.